Need some extra motivation to save money and pay down your debt? SaveUp.com may be the site for you. SavdeUp.com gives its members the opportunity to win cash and prizes for doing the right thing with your money, i.e. paying down all types of debt (credit card, mortgage, auto, etc.) and increasing your savings. The site is completely free; it makes money by collecting fees from partners. How it works: you connect your accounts to SaveUp via a secure process. Then, as you save money and pay down debt, you earn credits. These credits can then be used to participate in the site's rewards program, i.e. A gift card to Chipotle, Starbucks,Banana Republic, Best Buy, Target, T.J. Maxx, NFLShop.com, Southwest Airlines, Amazon.com, Wal-mart, Etsy, Costco, etc. Have I tried SaveUp.com? No. I'm very paranoid about sharing my banking details with any site, even with all the state-of-the-art security features sites like SaveUp have in place. So, if you're comfortable sharing your sensitive details with SaveUP, give the site a try, and let us know what you think in the comments section below. If you like SaveUp.com, you may also like PayOff.com. 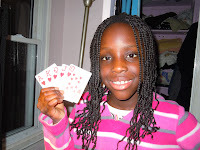 Is It Wrong to Teach My 10-Year-Old To Play Poker? What say you? 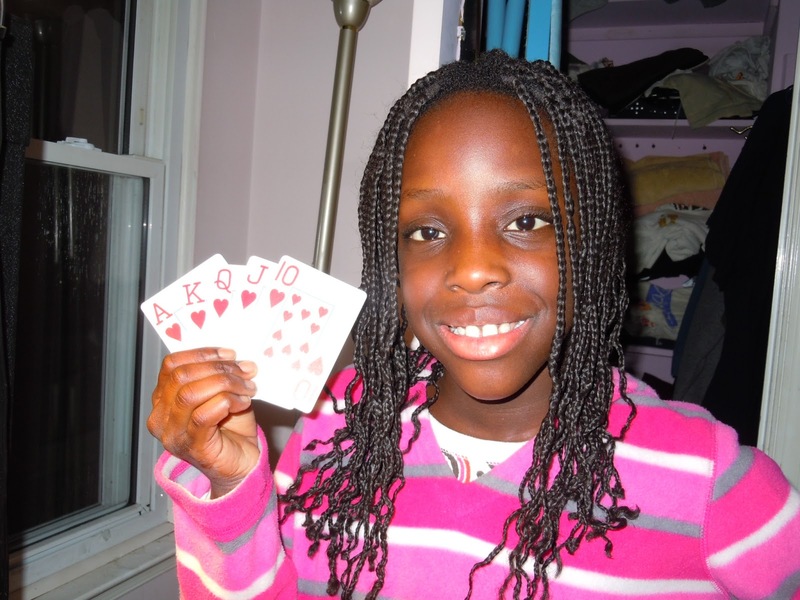 Am I a bad parent for teaching my 10-year-old daughter to play poker? Some might say that I'm teaching my daughter that gambling is OK, at an age when she is very impressionable. Self-esteem / self-respect: never play crappy cards....NEVER! To those who still don't agree with my position, let me shed some more light on my point of view. Back in 1979, I was 9 going on 10, and living in NYC. I was @ the UN school (UNIS) on the East River (www.UNIS.org.) A very, VERY good school, but not a good school for me. I had some serious issues with discipline, and my learning suffered. My dad, suffering much resistance from my mother, insisted that I attend an English boarding school in 1981. I went, and I'm glad I did. In 1979, while I was @ UNIS, my sister, at age 9, attended the very, VERY prestigious Dalton School (www.dalton.org.) Dalton only has The Trinity School (www.trinityschoolnyc.org) as an institutional peer. At Dalton, my sister was taught about economics and the stock market, AT AGE 9! She used to tell me about the virtual stock portfolio she had, and how her teachers would monitor her portfolio's performance every day. Are the equity markets risky? Yes! Just ask the folks who lost their life savings when General Motors -- a top Fortune 500 company -- collapsed during the peak of the Great Recession. But if you teach your kids early, they can learn to play the market, and be wealthy at an early age. Yep. Of this I have no doubt. And that's the difference between a good school, and a great school. A great school will teach kids very serious money lessons very, very early. Why? Because they get it. Teach kids important money lesson as early as possible, and chances are, you won't have to worry about their financial well-being when they grow up. SIMPLE AS THAT. You don't have to have loads of money, or be a movie star, to teach your kids to be successful in life. Just take the time to teach them all the good stuff you've learned over time, as often as possible. That's the difference between good parenting, as just phoning it in.